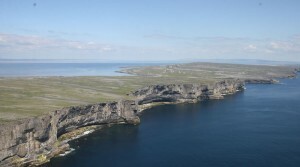 Inis Mor Island is essentially an extension of the Burren. 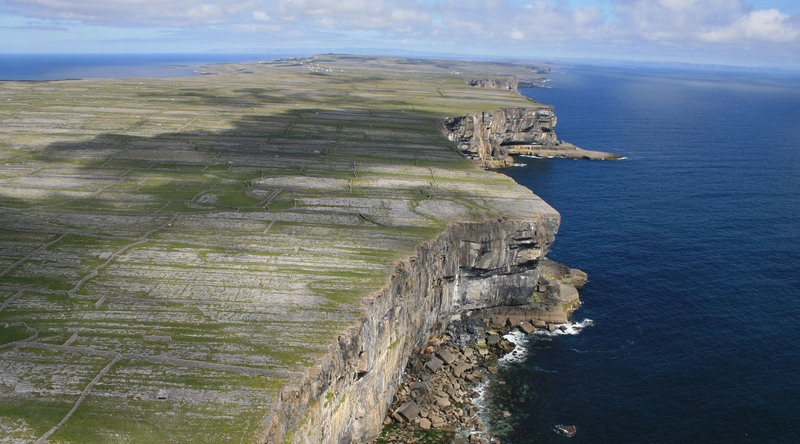 The terrain of the island is composed of limestone pavements with crisscrossing cracks known as “grikes”, leaving isolated rocks called “clints”. The limestones date from the Visean period (Lower Carboniferous), formed as sediments in a tropical sea approximately 350 million years ago, and compressed into horizontal strata with fossil corals, crinoids, sea urchins and ammonites. Glaciation following the Namurian phase facilitated greater denudation. 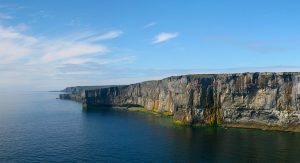 The result is that Inishmore and the other islands are among the finest examples of Glacio-Karst landscape in the world. The effects of the last glacial period (the Midlandian) are most in evidence, with the island overrun by ice during this glaciation. The impact of earlier Karstification (solutional erosion) has been eliminated by the last glacial period. So any Karstification now seen dates from approximately 10,000 years ago and the island Karst is thus recent. The close proximity of the Gulf Stream makes for a mild and pleasant climate and also encourages a unique mixture of all year round Alpine and Mediterranean flora. In spring and early summer countless tiny stone walled chemical free fields exude the powerful intoxicating aroma of brightly coloured wild flowers. 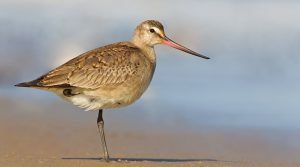 Many unusual wild birds live on or visit the Island. 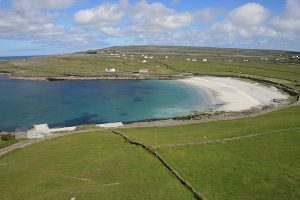 The sea surrounding the Island is still startlingly clean and all the beautiful Island beaches are safe and usually uncrowded. The Island is low lying and attracts little rain while enjoying a great deal of sunshine.